Owner Kevin Marsh explains, "We were basically unknown to a good bit of our community even though we had been in business almost 30 years." This "invisible funeral home" problem is common in the industry. It's not entirely surprising when considering the average person only plans 2 funerals in their lifetime and death is a taboo topic in our culture. These factors make it easy to completely ignore the funeral home that you drive by multiple times per week. "How quickly we saw results. We started seeing results within 90 days." These rapid results are typical when a social strategy is carefully designed around a specific community and funeral home business model. We designed an effective content marketing strategy around the existing assets in Madison Chapel Funeral Home like their incredible staff, adorable dog Teddy, and tight-knit community. This allowed them to strengthen their relationship with their community and initiate a personal connection by opening their doors to people who would typically only see their space and services a couple of times in their life. This small firm has seen 14% growth this year alone and is a whopping 21 calls ahead of last year (YTD). For a funeral home of this size, these results are huge. Don’t be scared! Do it! Ryan and his Staff are amazing. I was scared and I didn’t think that I could afford it...contemplated it for two years. Can’t imagine where I would be now if I had taken the plunge when I first found out about DISRUPT! 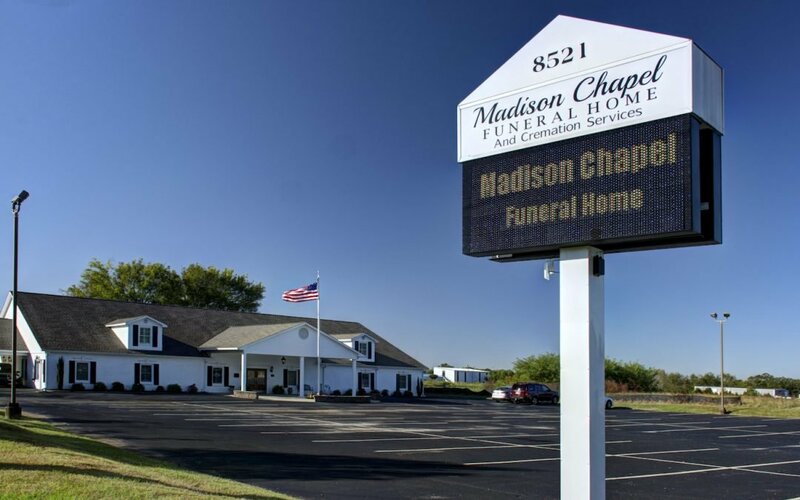 During your free DISRUPT demo, we'll show you how our proven social media marketing strategies have helped small funeral homes like Madison Chapel increase call volume, grow revenue, and take market share. Sign up below! Sign Up for Your FREE Social Media Demo Today!